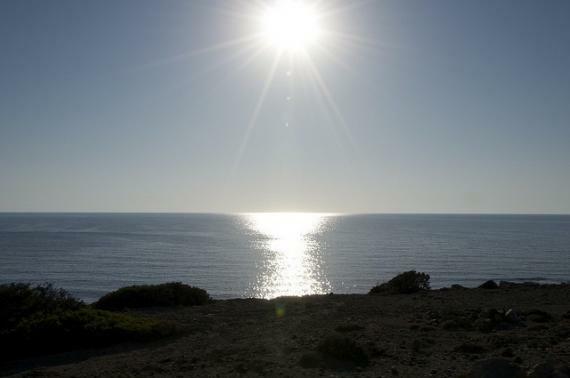 Cyprus is one of the most beautiful islands in the world, providing visitors and locals with 326 days of sunshine per year. The Mediterranean getaway offers some of the warmest weather that makes vacationing here ideal year-round. When looking to enjoy a sunny, tropical lifestyle, there's no better place to be than in Cyprus. The sub-tropical climate found here offers average daytime temperatures ranging from 15°C to 37°C throughout different times of the year. In the summer months, you will experience high temperatures in the mid-30's with low humidity, making it the ideal spot to enjoy a sunny holiday. The fall sees temperatures at an average of 27°C, offering lots of sunshine and very little rain. Winter months bring very mild cold weather with average temperatures of 19°C. While spring temperatures can be enjoyed at a beautiful 24°C, this season includes the most rainfall, only seeing about 7 hours of sun per day. The swimming season within Cyprus can practically be enjoyed year-round. Warm swimming waters typically start in April and continue through the end of November. During the summer months, water temperatures reach an amazing 28°C while in the winter, the water is commonly around 16°C.